We’re the design-build partner that figures in the what ifs and the wouldn’t it be better scenarios sooner rather than later. And that’s the kind of thinking that saves money and time. Experience matters. Polivka International brings nearly 60 years in business and 700+ design-build and bid-to-build project experiences to the table. No other company knows as much about rail infrastructure and parking surface solutions as we do. Our experience extends across Class I rail, short line, industrial, intermodal and ports spanning across the United States and Canada. And when it comes to customized, turn-key parking surface solutions, we’ve saved our customers time and money thanks to our premiere evaluation, installation and maintenance programs. Partner with Polivka International and you’ll see that we deliver smart, creative solutions, every time. When you hire us for a project, it's important that you know what we believe. These core values have fueled us during our first 60 years and they will propel us forward as we grow in the future. SAFETY Simply put, nothing is more important. Our number one priority is the safety of our people. After all, they are our most valuable asset. Polivka International enforces strict safety policies and procedures in order to maintain our history of zero lost time accidents. INTEGRITY When you hire Polivka International, surprises are not part of the package. We go above and beyond to get the job done right. This is why we are successful. ACCOMPLISHMENT At Polivka International, we celebrate our success as well as the success of our clients. Our clients are continually impressed with our approach to everything, from design and engineering to construction and billing. CREATIVITY We’re in the business of coming up with solutions. And smart solutions call for creativity. With each new project, we start from scratch and deliver a fresh approach to every challenge. It keeps us proactive and helps us look out for our clients’ interests now and in the future. SERVICE We understand how a client relationship works. You are in charge of hiring us and we are in charge of delivering. Accordingly, we make our staff available 24/7. RELATIONSHIPS Any healthy relationship is built on trust and communication. You can trust us because we do precisely what we say we will. And we do it well. 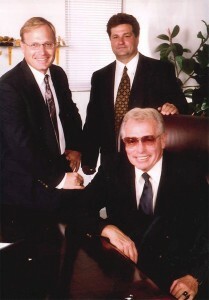 Polivka International is also family-owned. We operate in a culture where every person matters. When you have a question or a concern, reach out—we’re always willing to talk. SUCCESS In our company, success has a very simple definition. It means starting and finishing each day safely. It’s about staying on-time and on-budget. But most important, success happens when our clients are happy. EFFECTIVENESS The jobs we take on are often huge undertakings. But that doesn’t mean we can afford to ignore the little things. We emphasize teamwork between our management staff and the workers who are on-site day to day. Polivka International also celebrates hard work and accomplishment from everyone who contributes. With roots tracing back to the 1940s, the Polivka name has meant quality General Contracting for over 60 years. Likely because of the Carpathian Rusyn immigrant culture, hard work was instilled into the bones of the Polivka family. Having escaped persecution in their native land, they came to this country hoping to preserve the fruits of their labor. This desire and their hard working tendency, coupled with an entrepreneurial impulse, infused the family with a habit of success. Within two generations Basil Sr. put this familial tendency to work: he founded a local paving contractor in Northeastern Ohio, known for its quality service. Basil Sr. passed his solid work ethic onto his sons Daniel and Andrew Basil who, from an early age, joined him in his paving enterprise. These brothers played off of each other’s strengths, building the business to new heights. And eventually, Andrew Basil went on to found his own business, Polivka International, carrying on the legacy of over 60 years of quality general contracting. Polivka International now serves all seven Class I Railroads and other Fortune 500 companies. 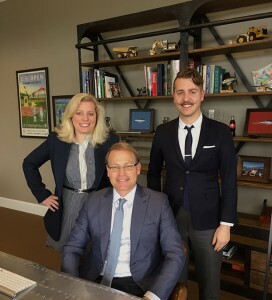 As Basil Sr. instilled in him, Andrew Basil has instilled an admiration for quality service, meticulous perfectionism and hard work in his children, two of whom work for the family business today.